Certified by the State of Hawaii to teach and give Surf Lessons, owner of Kauai Hawaii North Shore Surfing School in Hanalei Bay for 12 years. Held certifications including Lifeguard training, CPR and First Aid. 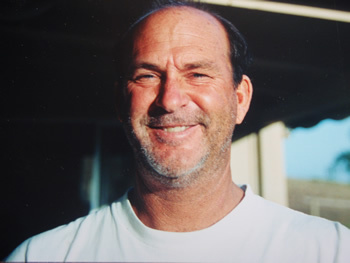 Ron brings his experience and 100 percent dedication to you in all surf classes. He can set up your Surf Vacation in beautiful, unique Surf Areas in Indonesia. Ron Wolfe, when giving surf lessons or snorkel excursions, likes to share his ocean experiences, surfing words and local legends with you. Never holding that land job for long, Ron has always made a living either in, over, or under the ocean. He spent 15 years as a commercial abalone diver. 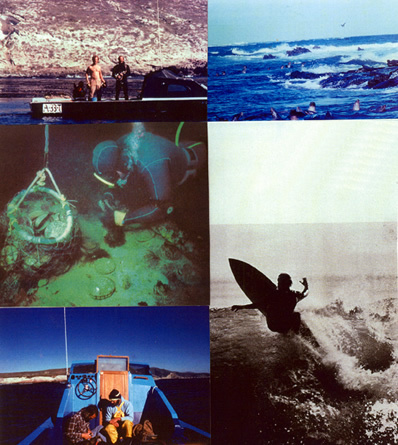 Pictured here surfing and diving for abalone at the Channel Islands, 30 miles off the coast of Santa Barbara, California. 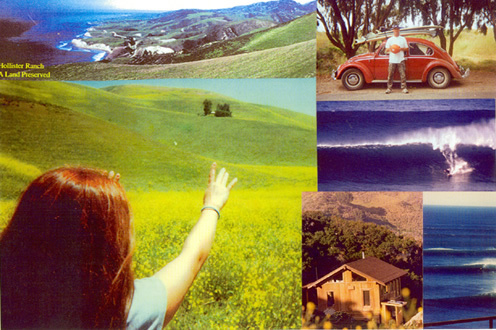 Ron grew up surfing Hollister Ranch; a 144 thousand acre wild life and land preserve. Pictured on the right is his solar powered home he built with friends and family in Hollister Ranch. Captain Ron held a United States Coast Guard Ocean Operator's license and CPR, First Aid and LifeGuard certifications. 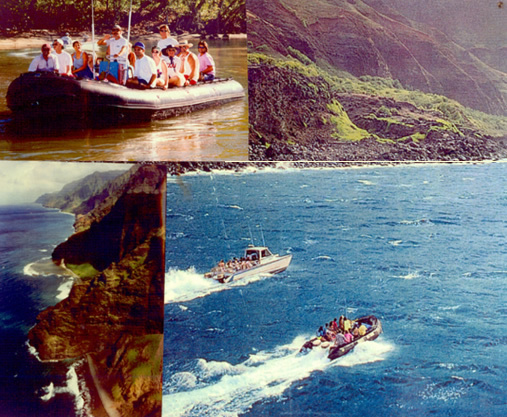 For many years he has shown visitors the remote Na Pali Coast of Kauai. For 10 years, Ron based his surf school poolside at Hanalei Bay Resort on Kauai, Hawaii.